What monster lurks in your nasolacrimal plumbing Emma? Emma is a 4-year-old hunting dog with purulent discharge from her left eye. 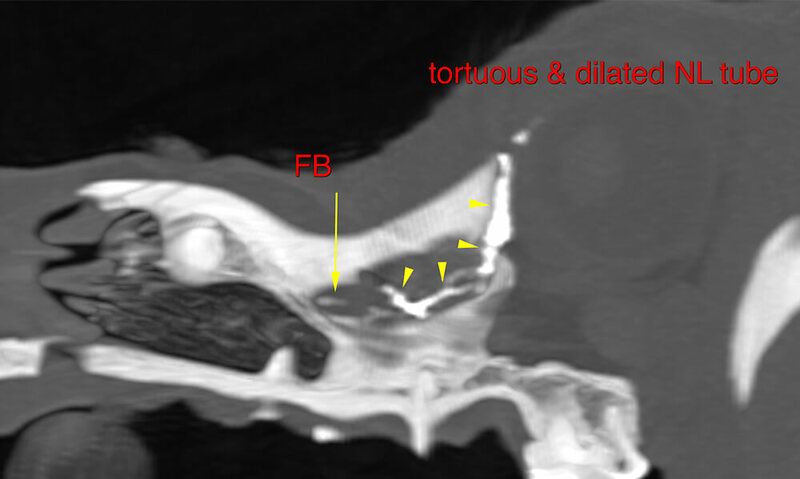 The CT Dacryocystogram shows a tortuous and dilated nasolacrimal duct with an abrupt stop and a linear mineral-attenuating foreign body rostral to it.